Being able to safely use a knife for bushcraft and survival tasks is absolutely essential. Even if you are an experienced knife user, you must never become complacent with using a knife. 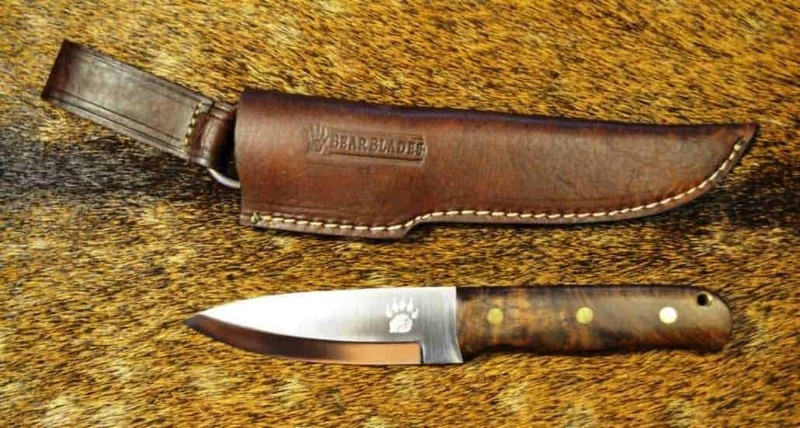 Here are our tips for using a knife safely for bushcraft. A safe knife is a sharp knife. It will always cut as you expect and won’t need excessive pressure. Whenever your knife is not being used, return it to the sheath, it is the safest place for it. Don’t ever just leave it out somewhere, even for a brief moment. You can easily cut yourself just by removing a knife from its sheath, so it’s important to keep fingers away from the sharp edge. When it isn’t attached to you, pull gently on it and then remove the sheath from the knife. If the knife is attached to you, then pull on the knife gently and pull it out slowly. Always ensure there is plenty of space around you when you are using a knife. If there are people in close proximity to you, then ask them to move back or find a new location. You must never try to use your knife in badly lit, confined or awkward spaces. Always concentrate on what you are doing. Cuts often happen because of a lack of concentration or distractions. If it isn’t the right time, put the knife away until it is. Hold the knife securely in full-hand grip, with your fingers safely away from the edge. Always cut away from your body and be aware of where your free hand is and be careful you don’t cut towards it. Even if your knife is sharp, only shave off small amounts with every cut. Trying to remove too much will mean you need to use excess force and reduces your control. Keep your elbows on your knees, especially while carving sitting down. This stops the knife from getting too close to your leg. When handing a knife to someone else, always do so with great care. Using the forehand grip, swivel it in your hand and let the other person take the knife by the handle. Always be careful to keep your fingers out of the way as you hand over the knife. Make sure the point and sharp edge is away from both hands. If you regularly use a knife, then there is a good chance that you may end up giving yourself the occasional nick. Always have a first aid kit with you, just in case. You can improve your knife skills at one of our bushcraft courses this year. Get in touch to find out more. We hope to see you out in the woods with us very soon. Click here to learn more and book your space.